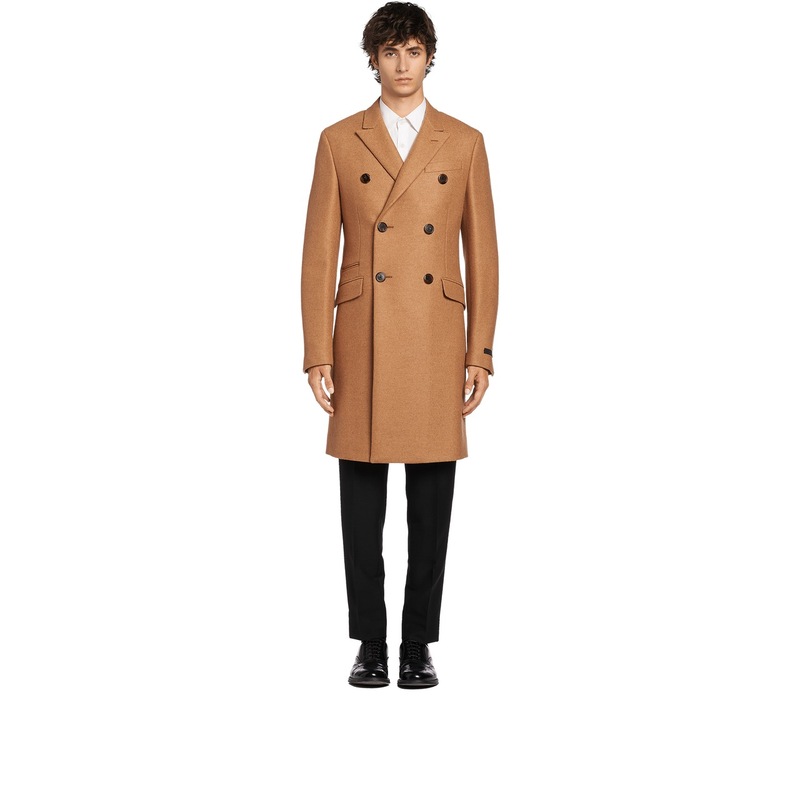 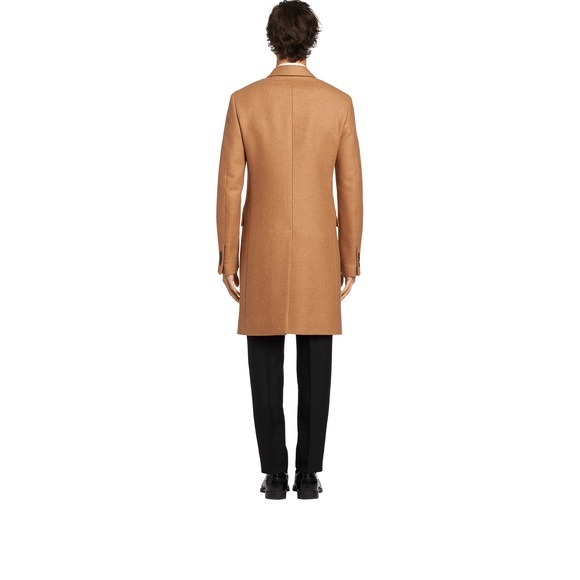 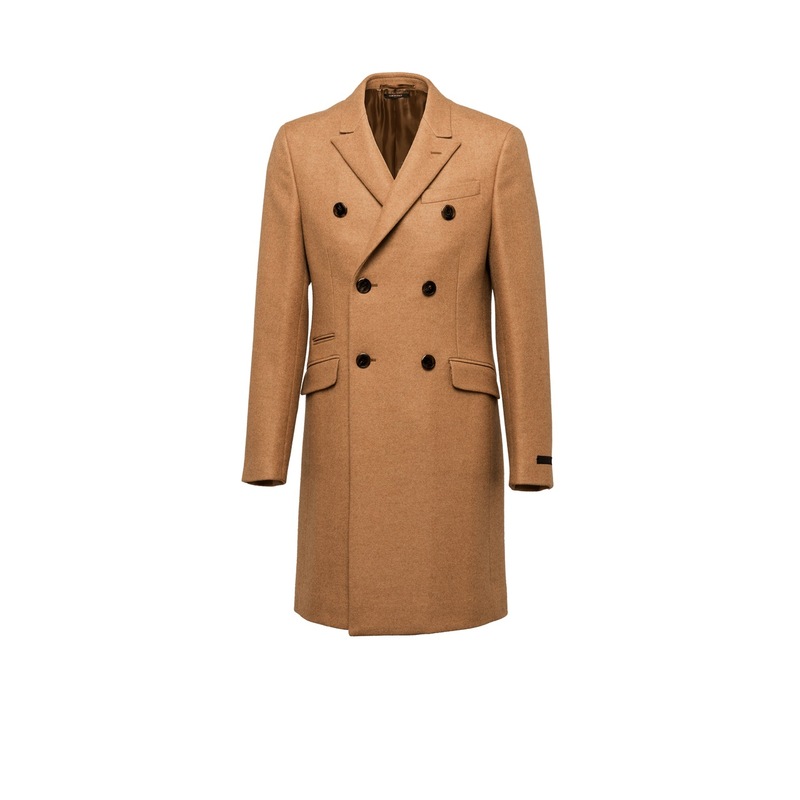 A slim-fit double-breasted coat with a classic cut. 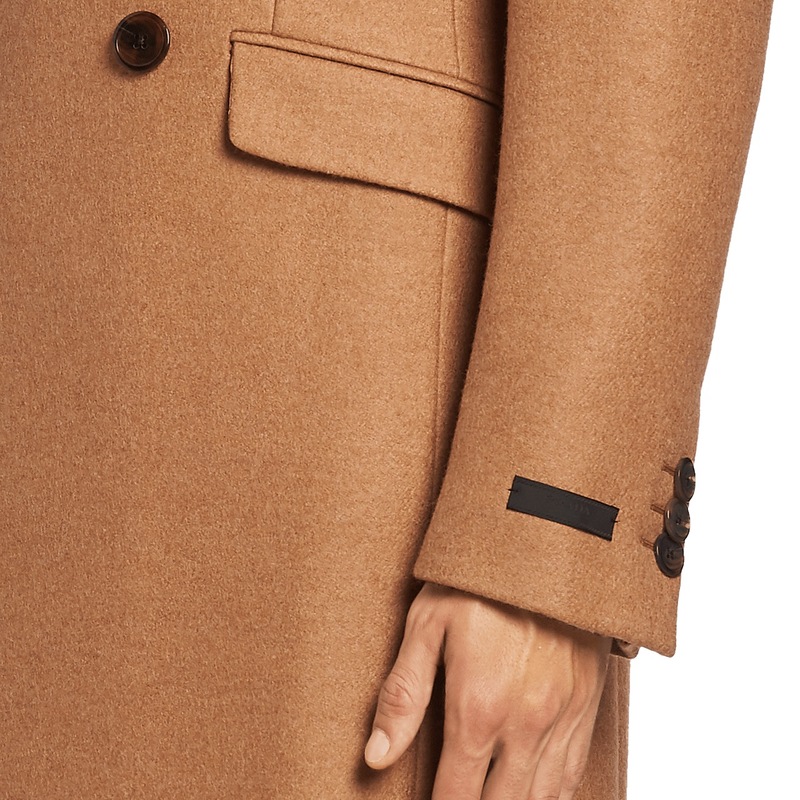 Crafted in camel twill, the garment features sharp peak lapels, dark-colored horn buttons and a vent on the back. It is completely lined.